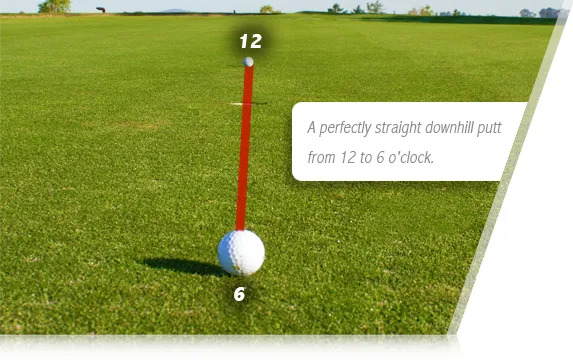 How many times are you tricked on unfamiliar greens by which way your ball breaks as it gets to the hole? Find the ‘Fall Line’ and you won’t make that mistake. 4-foot radius around the hole. 12 to 6 o’clock setting. Putt is going to break.